With Easter just around the corner I felt like decorating an Easter egg. I started by priming the egg with Gesso in which I added a little hint of brown to make it more vivid. I used a toothbrush to sprinkle some brown on to the egg also. 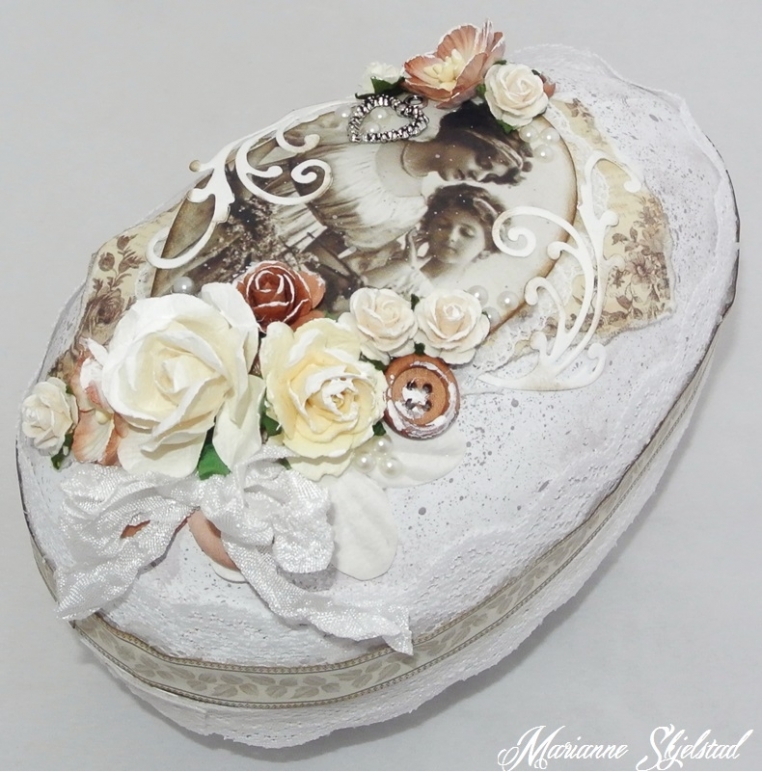 For decoration I have used papers from the collection For Father 6×6″ and a vintage picture. The border around the egg is from Alma’s Sewing Room. Finally I added some flowers, swirls, buttons, ribbons and pearls and added a bit more Gesso.